Multi-pocketed stylish bib & brace which is triple stitched for added strength. 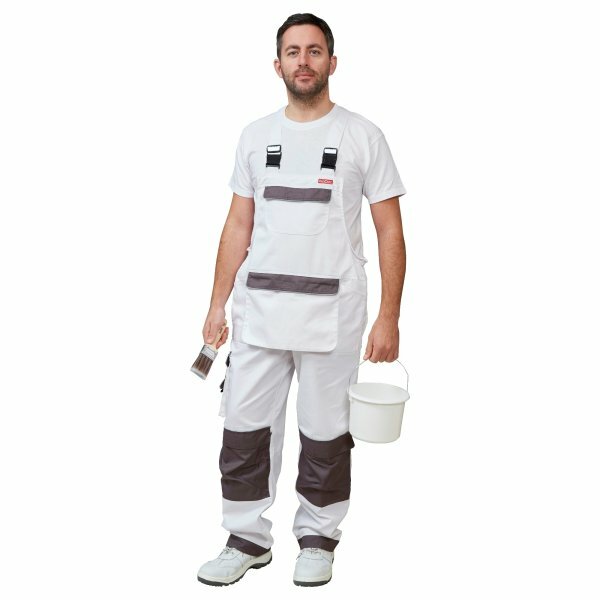 The ProDec Advanced Decorators Bib & Brace is constructed from a hardwearing polycotton fabric, with stylish grey areas that are specifically designed to protect the high wearing areas of the garment. This multi-pocketed bib & brace includes storage space for a mobile or MP3 player, top opening knee pad pockets and a large pouch at front. Coated for maximum stain resistance and triple stitched for added durability.